Clinical audit is essential for demonstrating performance for the quality and outcomes framework of the GP Contract. This completely up to date manual uses a practical ‘how-to-do-it’ approach, linked directly to the GP Contract, to make the undertaking of clinical audit a positive and rewarding exercise for both patient care and practice finance. 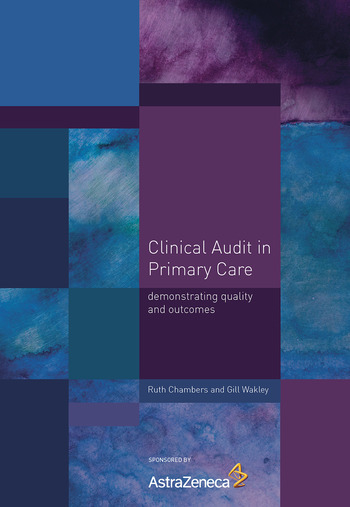 By using examples of clinical audit from around twenty different clinical fields, Clinical Audit in Primary Care provides tips and advice that can be integrated into everyday practice. The recommended process will enable managers, doctors, nurses and clinical staff to collect the data painlessly and to draw meaningful results from it. Its principles will also provide practical guidance to pharmacists and others in the multidisciplinary team involved in clinical audit. Part One: The infrastructure of audit. Getting started with clinical audit. Audit methods. Quality, audit and evaluation: impact of audit. Promoting change after audit: identifying how people react to change. Part Two: Worked examples of audit. Hypertension. Stroke. Ischaemic heart disease. Diabetes. Asthma. Chronic obstructive pulmonary disease. Epilepsy. Thyroid disease. Cancer. Depression. Sexual health. Back pain. Contraception. Obesity. Smoking. Dermatology: acne. Medicines management. Service provision. Patient safety.